Anthem lead producer Michael Gamble responds to a concerned fan on Twitter, reassuring them that BioWare is not in danger of being closed down by Electronic Arts. It’s no secret that Anthem has had a rough launch. The game has suffered from technical issues, loot drop controversies, and potentially poor retail sales, leading some to worry that BioWare’s future may be in jeopardy, as EA has displayed a tendency to shut down studios when they don’t meet expectations. But luckily for BioWare fans, it appears as though they don’t need to worry about EA shutting down the studio any time soon. Responding to a fan on Twitter, Anthem producer Michael Gamble told them not to worry about the possibility of EA shutting down BioWare. 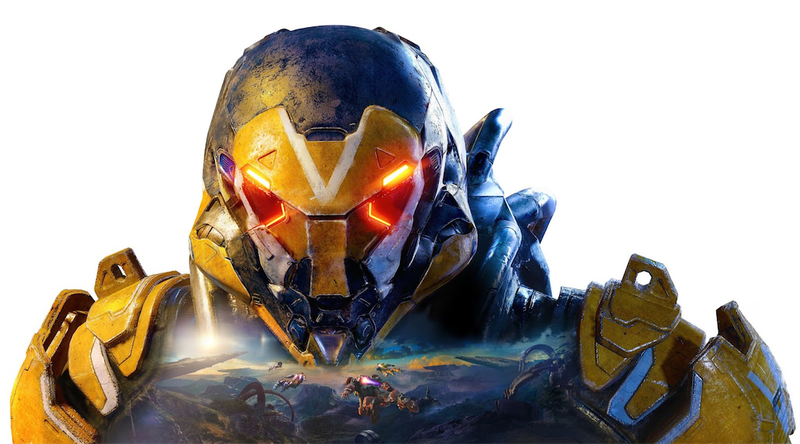 “Lots of folks are playing Anthem ,” he explained, and pointed out that the studio has already announced its plans to continue supporting the game as a live service title. Gamble stated that BioWare is getting “great support,” but didn’t clarify if that support is from fans or EA itself. If Anthem is able to maintain an audience, then BioWare may potentially turn the game around and rebound from its early misfortunes. We’ve seen other live service games start off with a poor reception, only to become much popular later on, like Sea of Thieves , for example. If BioWare’s 90 day roadmap for post-launch support is followed up by even more meaningful updates, then public perception of Anthem could be very different by this time next year. And even if Anthem ends up being a failure, it doesn’t mean BioWare’s future projects can’t win back fan support. As some may recall, Dragon Age 2 was considered a weaker game for BioWare, and the studio also drummed up significant controversy with the Mass Effect 3 ending. Despite those setbacks, BioWare then went on to release Dragon Age: Inquisition to rave reviews and multiple Game of the Year awards from various publications. Lots of folks are playing Anthem, and we’ve announced our live service plans. Don’t worry about that, we are getting great support. Beyond Anthem , it looks like BioWare is looking to go back to the Dragon Age franchise. The studio has announced that a new Dragon Age game is in development, and while we know next to nothing about it at the time of this writing, the timing suggests that it could very well be the studio’s first next-gen title. Of course, if Anthem manages to maintain an audience and become more popular, it could become BioWare’s first next-gen title instead. BioWare has said in the past that Anthem saves will carry over to next-generation consoles, so it seems the studio is already thinking about supporting the game well beyond the current console generation.